I rarely write about criminal defense law, since it isn’t what I do. But today it’s worth taking on the subject in light of the attempted assassination of Rep. Gabrielle Giffords and the murder of Judge John Roll and five others. I write because it deals with the heroism of lawyers. Several people have already been properly placed on pedestals due to their split-second actions in the face of great danger that saved the lives of many others. 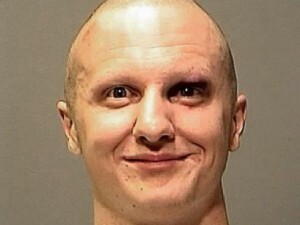 Had Bill Badger, Patricia Maisch, Roger Salzgeber and Joseph Zamudio not acted swiftly, Jared Lee Loughner would likely have continued his rampage. But there are others that we also need to celebrate. And this likely includes his new defense lawyer, Judy Clarke, who defended the Unabomber and has been involved in other high profile defenses. I assume she will have the assistance of others. And move from a private practice in Southern California to Arizona in order to do it, and do it for public dollars as opposed to more lucrative private ones. In other words, she and her team will voluntarily take on one of the crappiest jobs in America, and do so at great personal risk. Whatever personal risk may usually exist for the criminal defense bar — and it surely does for many who represent some tough characters with even tougher frenemies — it will likely be magnified a zillion-fold in a case like this. I would have left this subject alone until I was reminded by an Above the Law story yesterday by David Lat of some of the risks. He discussed how attorney Tali Farhadian has moved to a prosecutor’s office after being reviled as one of the “al Qaeda Seven.” The “al Qaeda Seven” was the name Liz Cheney used to describe those lawyers that had the audacity to defend accused al Qaeda terrorists. While Cheney’s contempt of the Constitution was repudiated by many in the public eye, you can be sure there were many people hailing her conduct. That is just the type of spewing that can set off unstable people, and in a nation of 300 million, there are a few out there. If you want to know what motivates a lawyer to take the risks of stepping into the malestrom, the answers will be many. For some it will include a deep appreciation for the Constitution, or a passion about an injustice being done. But those aren’t the only answers. The “How can you represent a guilty person” question is the classic cocktail party query that defense lawyers get (and us PI guys are spared), and I’ll leave it to others to more fully answer how they handle that: See, for example, Bennett, Greenfield, Kindley, Spencer, Koehler, Seddiq, Tannebaum, Horowitz, and Gamso. But suffice it to say from my outside-the-criminal-defense bar perch, that I am continually impressed that there are people out there that will take great personal risks for people so universally reviled. This is not about the run-of-the-mill drug bust, DUI, or even a murder. I’ve always been impressed with those that had the courage to take the extraordinary heat simply for doing the job they were trained to do. And since my personal definition of a hero is a person that sacrifices safety or comfort and goes to a place of danger, and does so for the benefit of others, then these defense lawyers will fit that bill. Will it benefit the lawyer also by being associated with such a high-profile case? Sure. When it’s all over, there will likely be plenty of people wanting their services. But they have to survive the crazies first, and in a case like this, they are likely to be crazier than usual.